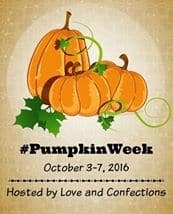 This week is #PumpkinWeek ! 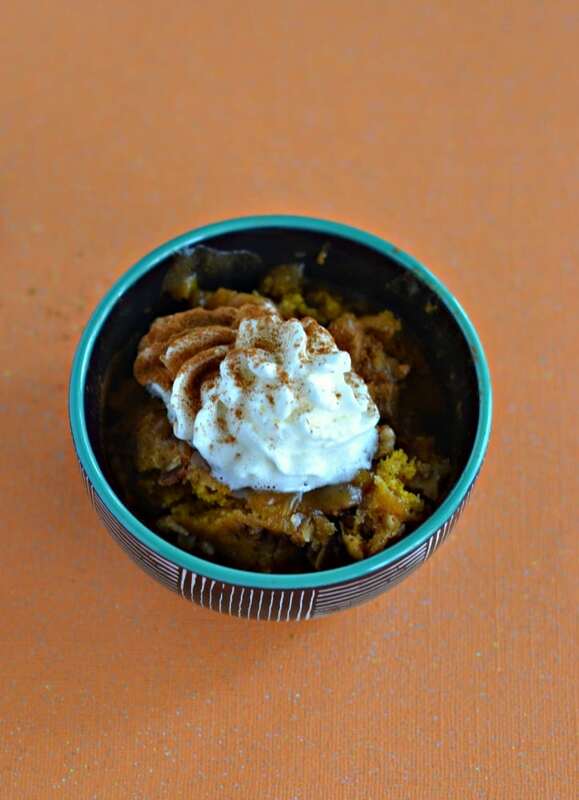 I’ve been looking forward to this week for months and I have 3 delicious pumpkin recipes to share with you. 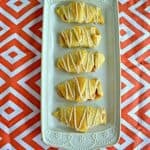 In fact, I made all three of them one weekend because I just couldn’t wait to start baking with pumpkin. I’ve got two dessert recipes and one beverage. 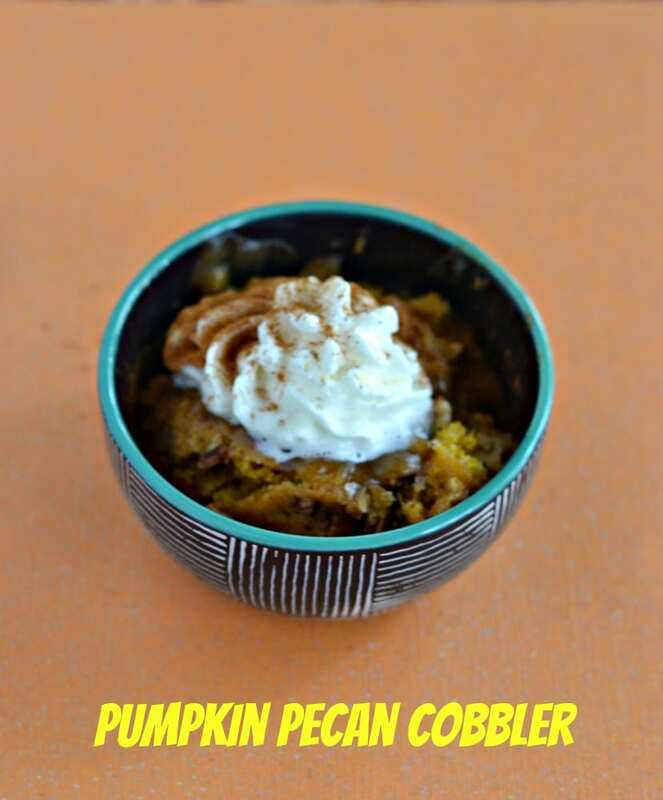 Today I’m sharing Pumpkin Pecan Cobbler. Now this is an interesting recipe. When I was making it I kept thinking that there was no way it was going to work. It just looked bad before it went into the oven. It basically starts with a cake like layer in a pan. Then it’s topped with pecans. It looks great until you pour on the topping. 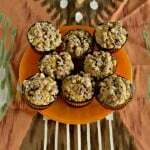 The topping is basically water mixed with sugar and pecans. I was really concerned with the dish. It looked like way too liquid to put into a cake and I didn’t like that it was just laying on top of the other ingredients without being mixed. I shouldn’t have worried though because when it came out of the oven it was amazing. 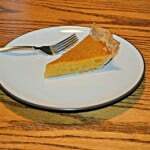 It appeared as though the bottom cake layer had floated to the top and made a tasty pumpkin cake. Once I scooped into the dish I noticed that there was a sweet and spiced sauce at the bottom of the pan. Apparently the liquid sinks to the bottom and makes a sweet sauce that goes awesome with the pumpkin cake! It’s really neat to see how it works and the cobbler is absolutely delicious. 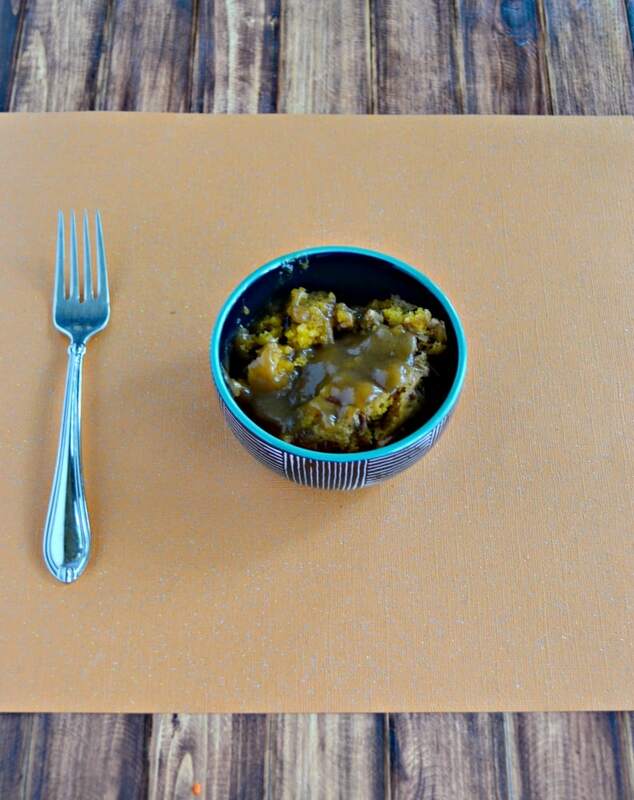 I scooped out a big serving and put it in the dish. 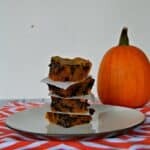 The cake is light and tastes of pumpkin and spices. The pecans are throughout both the cake and the sauce. 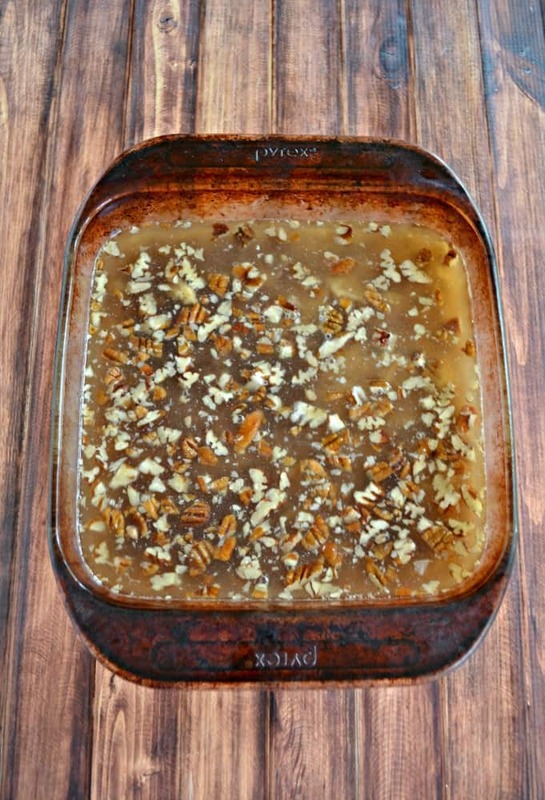 Then the sauce on the bottom resembles a caramel of sorts studded with more pecans. It’s so good when it’s served hot. I enjoyed my cobbler with whipped cream and a sprinkle of cinnamon on top. This would also be yummy with a scoop of vanilla ice cream on top. Any way you serve it, make sure it’s served warm so that sauce is liquid and runs over top of the cake. You’ll be glad you did! 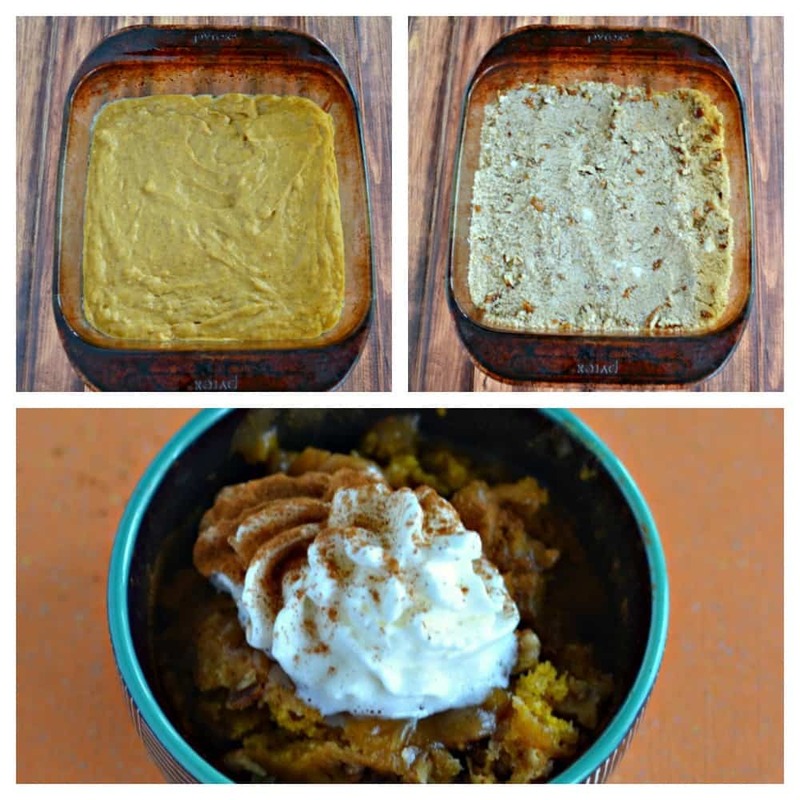 A delicious pumpkin cake that makes its own tasty caramel sauce in the same pan! Preheat the oven to 350 degrees. Spray an 8 x 8 pan with cooking spray and set aside. 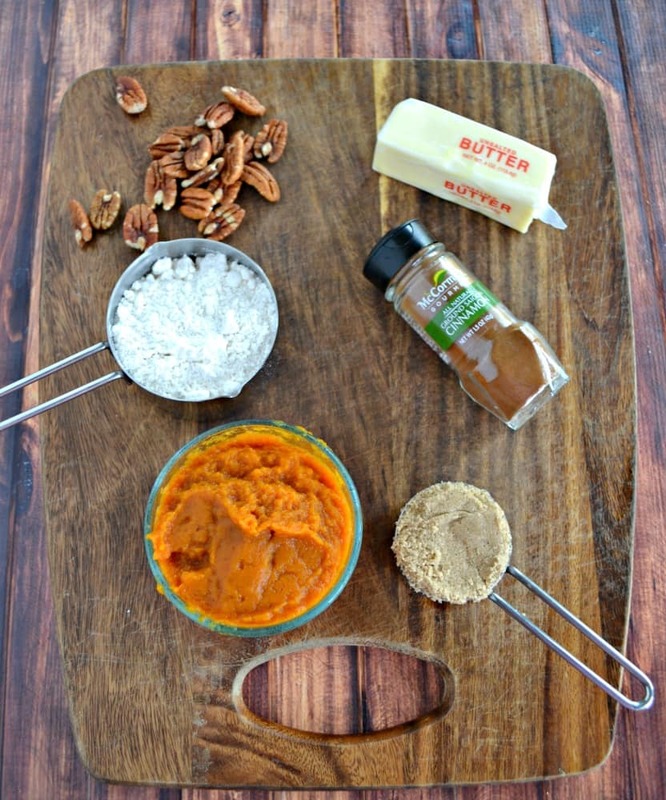 In a medium bowl combine the flour, baking powder, salt, brown sugar, and pumpkin pie spice. Mix well. Mix the pumpkin, milk, butter, and vanilla in a small bowl. Dump into the bowl with the flour and stir until well combined. In a small bowl toss the sugar and pecans together. Sprinkle over top of the cake mixture in the pan. Combine the brown sugar and hot water and mix well. Gently pour over top of the mixture in the pan. Do not mix! Bake for 40 minutes. Remove from oven and cool for 5 minutes. Serve hot with whipped cream or ice cream. Thanks for letting us know that it looks very wet going in. It will save us all a lot of panicky moments. I was panicking about it but it makes an amazing dessert! I love those flavors together. What a fun dessert!